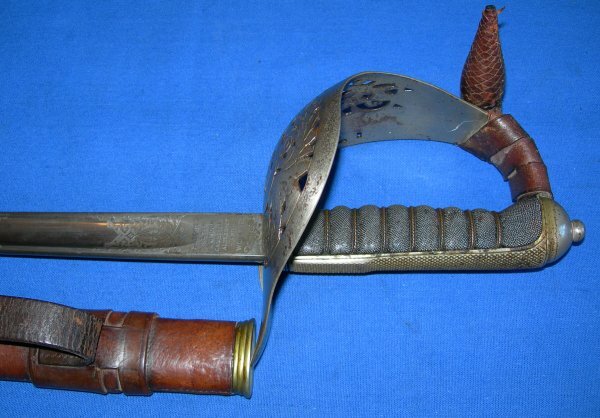 Made by Wilkinson Sword for Flights of London, Camberley, Aldershot and Woolwich, a George V (WW1 era) British infantry officer's sword in good condition. Flights were one of the very few retailers / cutlers that Wilkinson Sword made swords for, so the sword was made by the most famous British maker of all time. The 32 1/8 inch "dumbbell" blade is well etched, in good conditionand firm in the hilt. 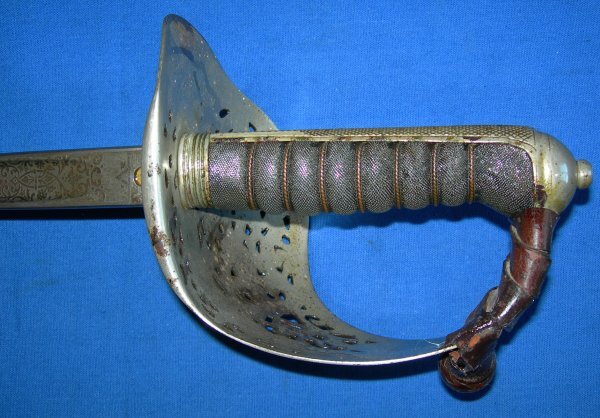 The plated steel hilt with some aging / plate flaking / bubbling / light rust, but not too much. The grip is aged and worn but in good condition. 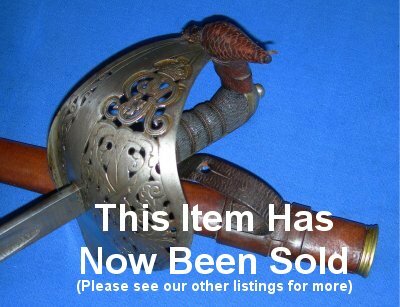 The leather field service scabbard is in good order. The sword sheathes and draws very well.